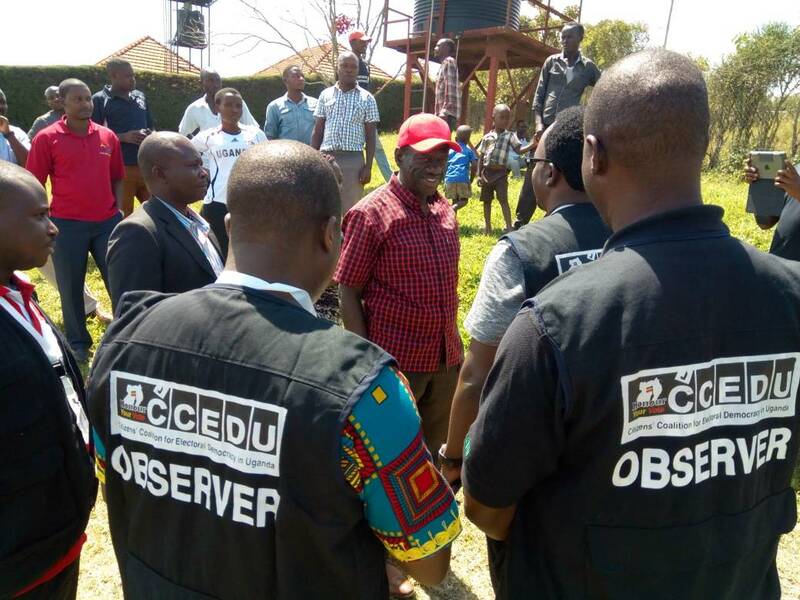 KAMPALA – The Electoral Commission (EC) has lifted the suspension earlier meted out to the Citizen’s Coalition for Electoral Democracy in Uganda (CCEDU) in regard to monitoring local elections. On July 9, 2018, the EC suspended CCEDU on allegations that the NGO was becoming partisan which contravened guidelines on the conduct of voter education. But in a press statement issued on Thursday, EC said it had resolved its differences with CCEDU. “In a meeting held at today, Thursday, February 21, 2019, at the Commission’s headquarters, between the Commission and CCEDU officials, the Commission has taken the decision to lift the suspension of accreditation of CCEDU for electoral related activities,” the statement signed by the EC chairman, Justice Byabakama Mugenyi Simon, reads in part. Justice Byabakama added that following the suspension of the accreditation of CCEDU for election-related activities on July 4 last year, a joint committee comprising officials from the EC and CCEDU was established on October 24, 2018, to review and harmonise the EC/CCEDU working relations. The EC said it now expects CCEDU to act in an impartial manner, streamline its communication around elections to comfort to electoral laws and guidelines and identify a head of mission for every election it observes. The head of mission will be in charge of communication between CCEDU and other partners in the elections. The staff between the two bodies came in July last year one of CCEDU’s staff, while appearing on NTV’s morning show, accused the EC of mismanaging the LCI and Women Council elections. This did not go down well with EC, leading to the suspension. CCEDU was launched in August 2009 and the largest local outfit engaged in promoting electoral democracy. It carries out voter education and observes elections, among other things. According to its chairman, Dr Livingstone Sewanyana, CCEDU has a membership of 991 community-based organisations and 27,801 individuals, many of these individuals are retired civil servants, politicians and other individuals spread across the country.